It is holiday time!!! 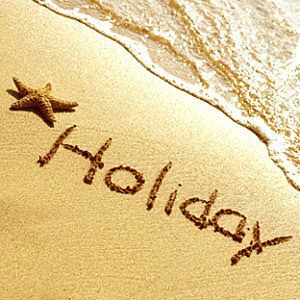 Be it Christmas vacation, summer break or as small as the weekends off, we all love holidays, do we not?! It is those precious few days we get to relax and get away from the everyday hustle-bustle as a student, an employee or a head of a company. The best part about holidays is the time we get to spend with our families. But with the advent of technology and gadgets, we are losing out on those golden hours that should be spent with our family! Holiday time has now become a boon for surfing the net for long hours, watching soccer matches or playing the new PS3 game; in other words, more time to be a couch potato. Today, holiday time is when kids get crankier because they are “SO bored” at home, so they keep cribbing for what seems like forever that their parents take them out, everyday! So what can be done about this: “I have no time for family time.”? What can we do to have some fun, yet utilize our time productively and rekindle the family time spirit again? The cherry on the cake would definitely be learning something new about Islam every day, would it not? 1. Develop hobbies together: Be it parents with their kids or spouses with one another. Explore new hobbies or an area of interest that both of you would love to do together. It could be gardening, hosting a charity or playing your favourite sport. The possibilities are vast! Find that one hobby which suits you best. This will help you spend time together while having some fun too, inshaAllah. 2. Family Story Time: I know teens dread when their parents start with “You know when I was young this, this and this happened.” But believe me the moment you stop thinking of it as a rant and more as a story, it is bliss! Plus, it really is interesting to know about your parents’ childhood, the things they did… how the culture was back then, what they filled their days doing, their parents, their relatives, their siblings and there is also the story of how they got married! :D Moreover, I also realize that much of why my parents do certain things the way they do was linked to some incident in their life that taught them a lesson which they do not want me to repeat! Realizations like these in turn help us to understand them much better, Alhumdulillah! 3. Islamic Story time: If you have little kids or even otherwise, there could be no story better than the stories from the Quran and those from Islamic history that you could tell them. Buy books, browse them on the net and either discuss them together or read it once and narrate it to them in a story telling fashion. 4. Learning the fun way: You are relaxed, no work, no studies to do! But let us not forget that now is the best time to learn more about Islam too. One way to make learning fun is by twisting fun family games in a way that by the end, you have learned something too! For example, ever played Jenga? It is that game in which you build a tower using small rectangular cubes. Next, each person carefully removes one cube at a time making sure that the tower does not collapse. The Islamic learning twist here could be that whoever makes the tower fall needs to answer either a quiz question (you could have quiz cards made in advance) or he or she narrates a hadith that they have learned and share their reflections about it. 5. Read Quran together: Block out a time of the day to sit and read the Quran. One person could read one verse each with its meaning, or in any way you would like to do it. But whichever way you decide, make sure everyone is involved and listening attentively. One website to consider using for reading the translation of the Quran in a way that is appealing to kids is the blog – “Teaching Kids the Holy Quran”. The brother who runs this website uploads visuals for each verse which makes it fascinating and intriguing at the same time. 6. Outdoor Fun: Go out together on short trips or on one day picnics. Choose places that are more nature oriented, that way you not only enjoy fresh air that is soothing to your lungs but also get the opportunity to reflect on the Creation of Allah subhaanahu wa ta'aala. Holidays are the only time you get complete 24 hours to bond with your family; do not waste these days by sleeping all day long or indulging in technology ignoring the people around you. Make the best of every moment by spending quality time with people you care about and those who care about you! Do you have any other ideas to make holiday time “family time” in a halal fun way? If yes, then do share them with us in the comments section… I’d love to hear from you!